The English architect Sir Edward Lutyens had already been knighted when he started work on the Central Club – the redbrick building that now houses The Bloomsbury Hotel. Lutyens had already fused architectural styles to great effect, yet this neo-Georgian remains his finest gift to London. It came about thanks to a former Young Women’s Christian Association official from Australia who was shocked to find no home for the YWCA in London. Fundraising began in 1923, Queen Mary laid the foundation stone six years later and the club was opened to great fanfare on 28 April 1932. 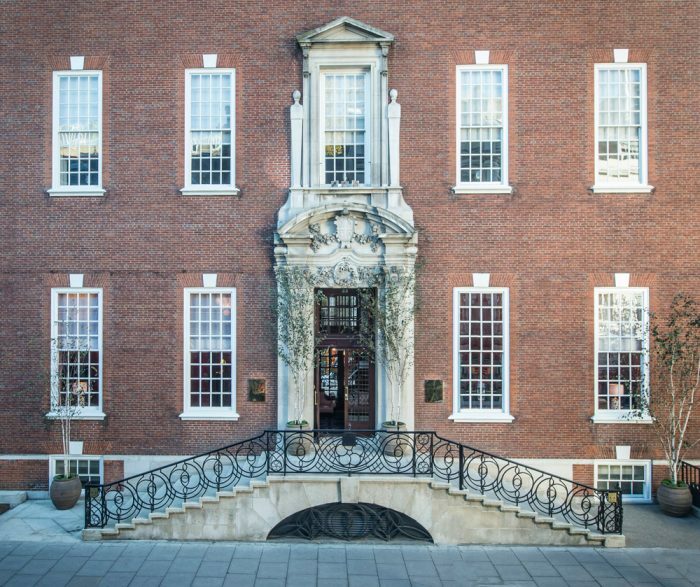 A recent multi-million pound renovation by master hoteliers The Doyle Collection has embraced the literary leanings of the historic area, while still providing all the amenities of a high-end capital destination. 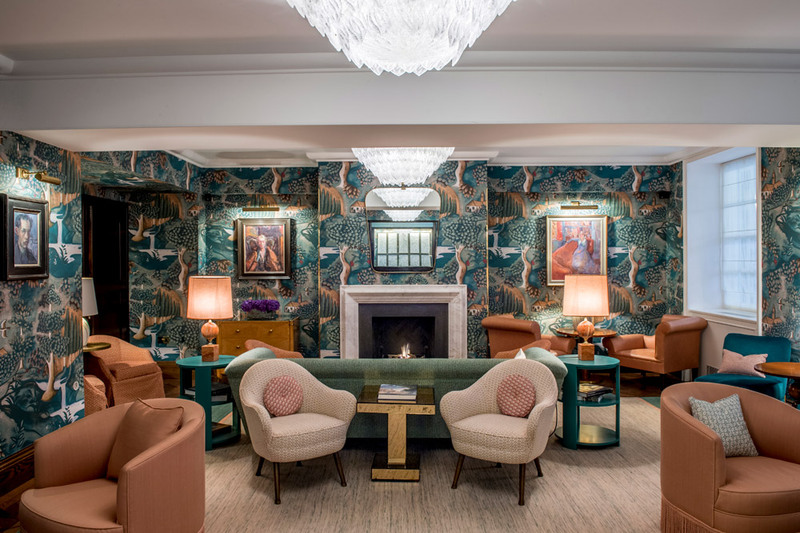 As the hotel’s name suggests, this is the part of central London made famous by the Bloomsbury Group, that early 20th-century clique of writers, artists and thinkers who famously “lived in squares, painted in circles and loved in triangles”. The group’s most prominent member, the Mrs Dalloway author Virginia Woolf, lived in nearby Gordon Square and it was here, at number 46, where their informal gatherings were first held. In 1907, she moved to 29 Fitzroy Square. The Sitting Room in particular has echoes of the group’s boho fashions with its oil portraits and lush, rural wallpaper designs. For the modern visitor, the location couldn’t be more convenient. The British Museum sits on the opposite side of Great Russell Street, while the shops of Oxford Street, restaurants of Charlotte Street and bars of Soho are all just a few minutes’ walk away. Both the classic and cosy bedrooms are calming escapes from the bustle of Oxford Street just minutes away, helped by a black-and-off-white colour scheme that was a favourite of the hotel’s architect, Sir Edwin Lutyens. Nevertheless, this is a hotel where the upgrades are well worth it. The Luxury Studio Suites are larger than most first-time buyers’ flats, with ample closet space and a comfy living room. While the décor in the suites is more colourful and contemporary, there are enough nods to Woolf’s era to satisfy those with a taste for the vintage, like the red leather art deco headboards and the fringed lampshades that look like Flapper dresses. The indulgence extends into the bathrooms too: cool grey Italian marble walls, a splash-proof TV set next to the roll-top bath, and a walk-in shower spacious enough to clean a small hippo. 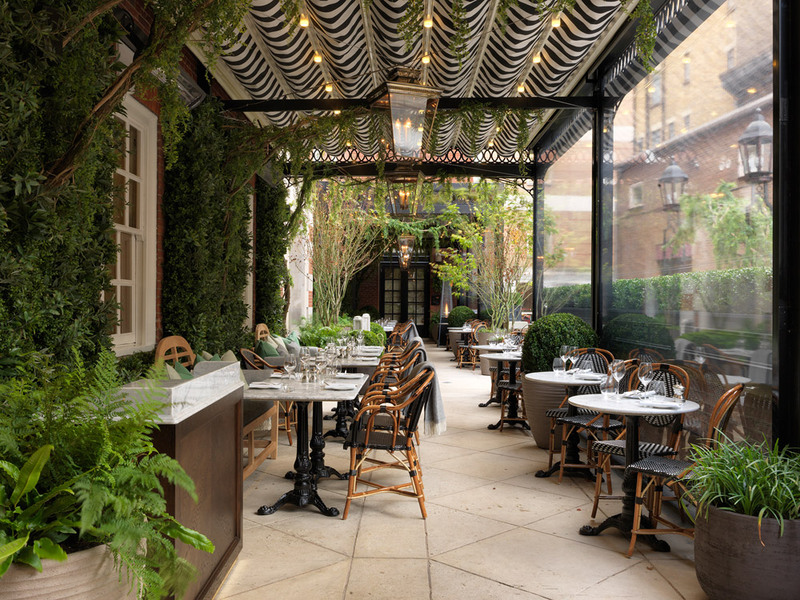 On our visit, the outdoor Dalloway Terrace was bustling with a mixture of hotel residents, after-work drinkers and shoppers surrounded by bags acquired from the high-end boutiques. A step up from street level, it would have exuded an air of continental chic even on the greyest of London days. Dining options here range from 8am breakfasts via thematic afternoon teas, to all-day dinners including a whole Dover sole and a rack of lamb for two. Inside the hotel, the highly Instagram-able Coral Room is named after the colour of its walls – the perfect hue for anyone thinks the pink of sketch’s gallery is so 2017. 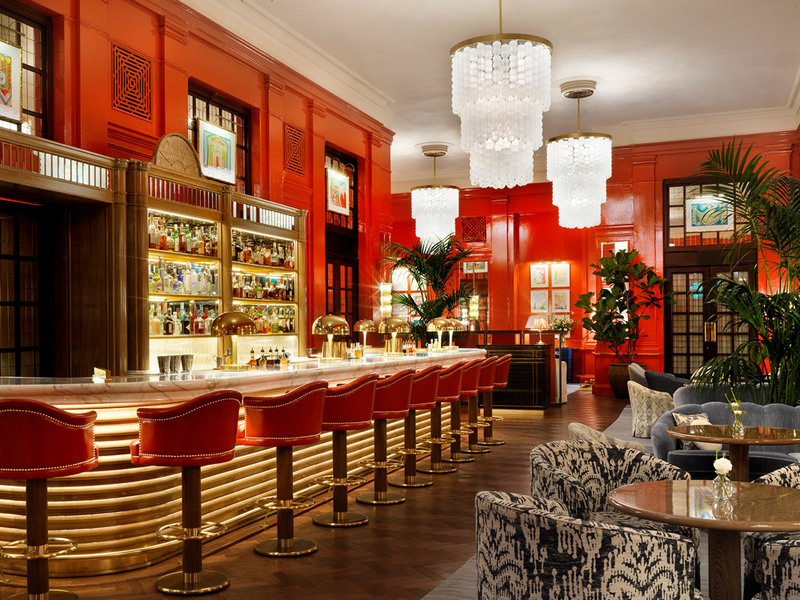 Again however, there is plenty of 1920s glamour to this salon-style space, as smartly-dressed waiters buzz around the marble-topped central bar delivering glasses of English sparkling wine to the equally stylish clientele. The hotel’s Master of Wine, Anne McHale, has picked out some beauties, including a signature 2014 ‘Bloomsbury’ blend that originates from an East Sussex vineyard near to Woolf’s country retreat. The bar menu is designed for idle picking, with small plates and sharing platters dominating. The service is perhaps a little over-attentive, however. The tendency for staff to crouch at the tables felt patronising at times, while a simple question about how many small plates would be enough for a main course was answered with a lengthy rundown of the relative merits of every dish. When Virginia Woolf advocated having a room of one’s own, she could never have imagined anything quite as stylish as the suites at The Bloomsbury. For a dash of period style in the heart of London, it can’t be beaten.